We finally got the green light to discuss this project. 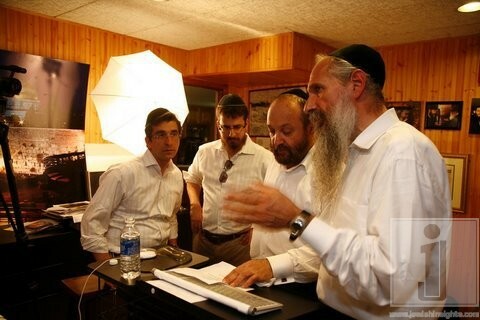 “Unity For Freedom” will be a music video and possibly mp3 to be released before Rosh Hashanah. The man behind the project is Danny Finkelman. When I first heard the whispers of this project coming together I called Daniel up and asked him what the deal was. Daniel said although a lot of yidden know about the plight of Shlomo Mordechai Rubashkin, unfortunately many others do not know about it. In the way that the secular music artists banded after the terrible natural disaster which took place in Haiti earlier this year, and raised awareness and funds, we do too. “It’s much more then that too,” says Danny Finkelman. “Many communities have united like never before, and that alone is a reason to show a living example of unity amongst the Jewish artists. If there were more unity amongst ourselves like I am seeing now,” says Danny Finkeman, “Maybe we can guarantee that there will be less problems for yidden everywhere in the future.” Which singers are involved? Only the best and brightest jump eagerly onto the bandwagon to help this much needed cause; MBD, Avraham Fried, Beri Weber, Lipa, Chazzan Helfgot, Shloime Gertner, Yeedle, Gad Elbaz, Shloime Dachs & his son Dovid Dachs, Dovid Stein, Yehuda Green, Bentzi Marcus (8th Day), Dovid Gabay, Avi & Yossi Piamenta, Ohad!, Aaron Razel, the Sparks Choir, Yossi Green, Shlomo Simcha, Yossi Goldstein, Michoel Schnitzler, Shira Choir, Benny Freidman & Ken Burgress. Rumor is that there will possibly be another artist or two added in the next couple of days. 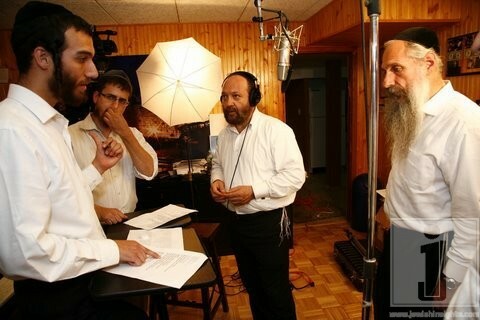 The music will be Arranged by Ilia Lishinsky and mixed by Yitzchak Shem Tov. A music video featuring all the artists will be released with contact information as to how to help this cause and donate to the fund. as for the name why “Unity For Freedom”? “Very easy,” responds Danny Finkeman, “The song of choice will be MBD’s Unity, What else would they sing?”. This project is being sponsored by Teltech Corp., run by Eli Finkelman and Meir Coen. Check back here in the next two weeks for updates and the release of “Unity For Freedom”.